Collins, 1974, Hardback in Dust Wrapper. Condition: Good - in Good DJ. Edges of DJ a little chipped and rubbed although overall bright. Price Clipped. A little rubbed and faded at extremities of cover. Internally bright and clean. Illustrated with B&W photographs. 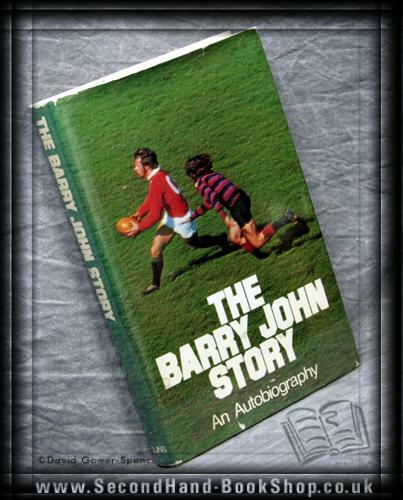 This is the story of a hero of the game of rugby, richly detailed, thrillingly told, and giving to the reader the pleasure and excitement which Barry has always felt himself. 190pp. Index. Size: 8vo Large Post (8¼" x 5") Dust wrapper in protective, removable sleeve.